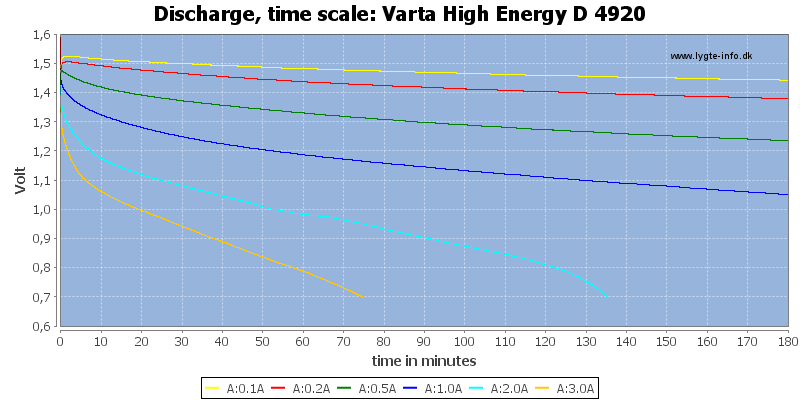 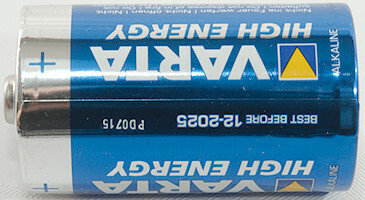 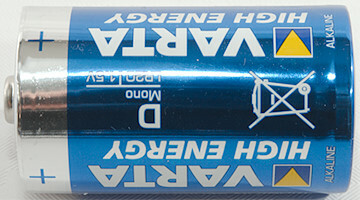 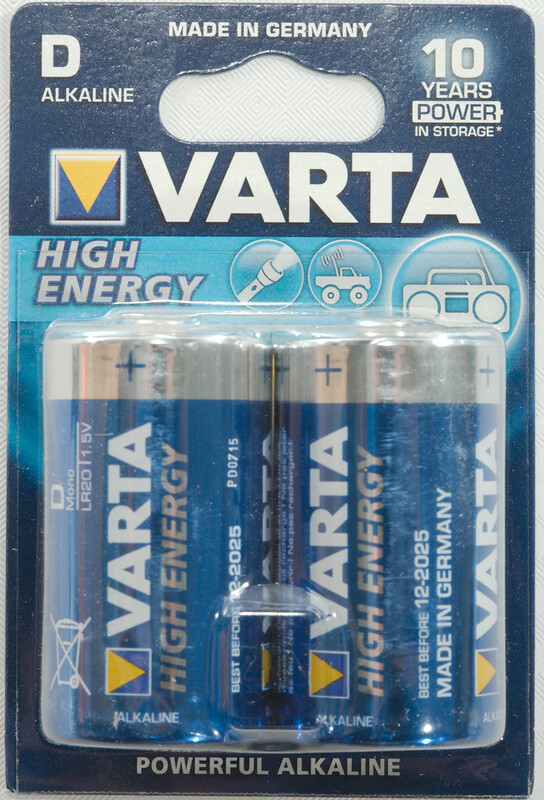 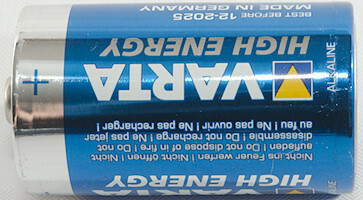 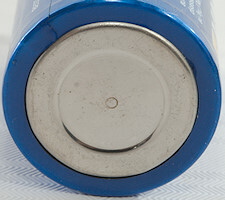 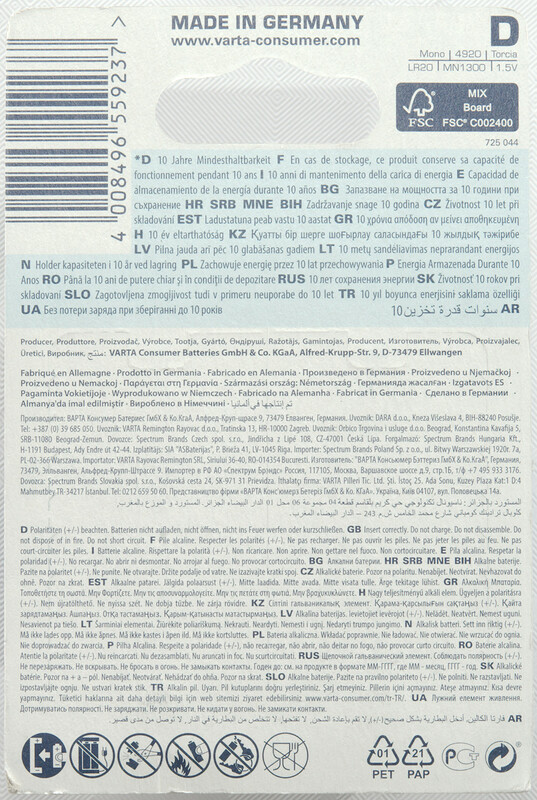 This is a alkaline D cell from Varta. 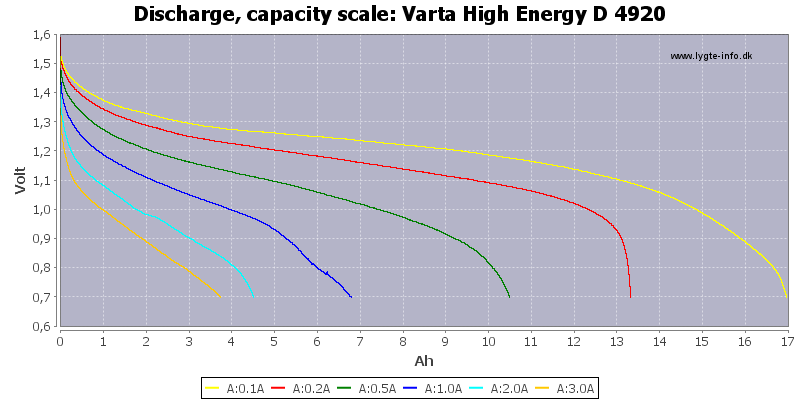 As usual with alkaline capacity varies with current drain and even this large cell cannot do much above 3A and have some capacity left. 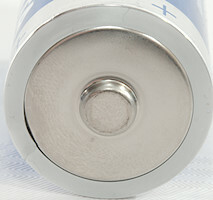 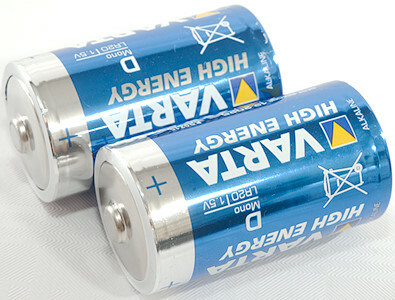 The energy contents is 5-6 times a AA cell, but the current capability is not much higher. Performance of this cell is similar to the other D cell I have tested when using low current and worse at higher current.